This post is part of a series which uses the room names in the Irving K. Barber Learning Centre to explore places in B.C. and the collections at Rare Books and Special Collections. Our featured place for this post is Ucluelet, located on the west coast of Vancouver Island. Ucluelet is located on the edge of Barkley Sound and is known for being at the southern end of beautiful Long Beach, which is in between there and Tofino. The Ucluelet area is home to the Yuułuʔiłʔatḥ First Nation. As explained by the B.C. 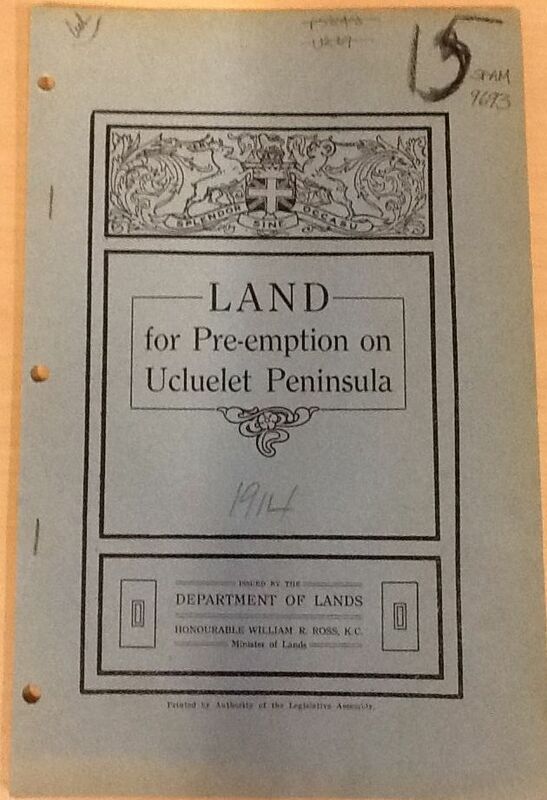 Archives, the preemption of lands was allowed so that individuals and corporations could acquire crown land, with the idea that they would cultivate it or otherwise “improve” it. This was in practice from 1859 until 1970 in B.C. The B.C. Archives link above describes how to search for a preemption record; they are now often used as genealogical sources. You can search an online database by name, district, date and other parameters. 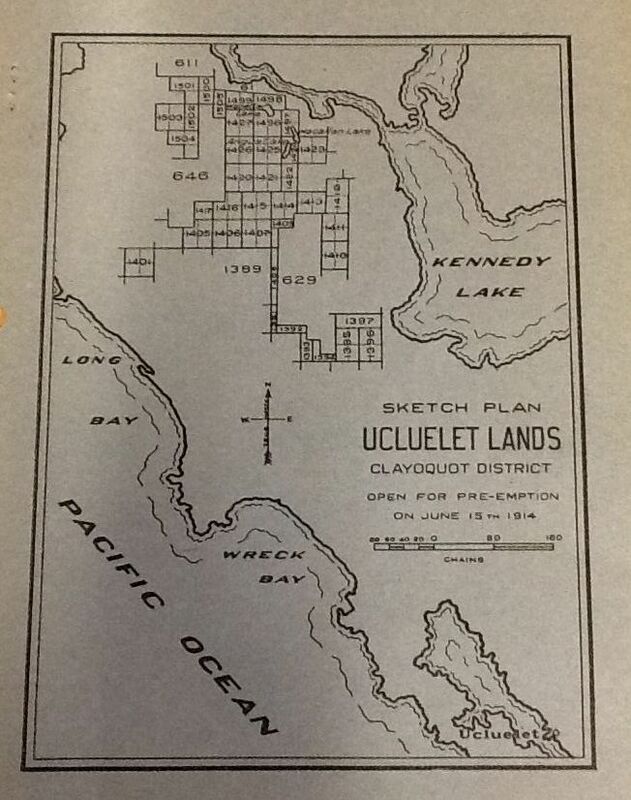 For example, you could search for lands granted in the Clayoquot District (which would include the lots described in this pamphlet in Ucluelet) from June 15 1914 till the end of that year to get a sense of how many of these lots were preempted, and to whom. This pamphlet is part of our SPAM (Special Collections Pamphlet collection) and can be found by searching in the Library Catalogue. For information on this collection and other ephemera in our collections, check out our Ephemera Research Guide. In the Barber Centre, the Ucluelet Room is room 158, a classroom on the first floor.